The Eiffel Tower is an iron tower built on the Champ de Mars beside the River Seine in Paris. The tower has become a global icon of France and is one of the most recognizable structures in the world. The Parisian landmark is the tallest structure in Paris and one of the most recognized structures in the world and is named after its designer, engineer Gustave Eiffel. The structure was built between 1887 and 1889 as the entrance arch for the Exposition Universelle, a World’s Fair marking the centennial celebration of the French Revolution. 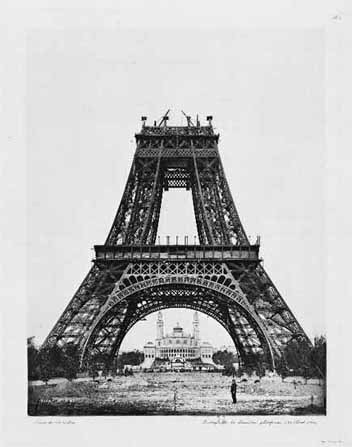 The structure of the Eiffel Tower weighs 7,300 tons. Depending on the ambient temperature the top of the tower may shift away from the sun by up to 18 cm (7 in) due to thermal expansion of the metal on the side facing the sun. The tower also sways 6-7 cm (2-3 in) in the wind. 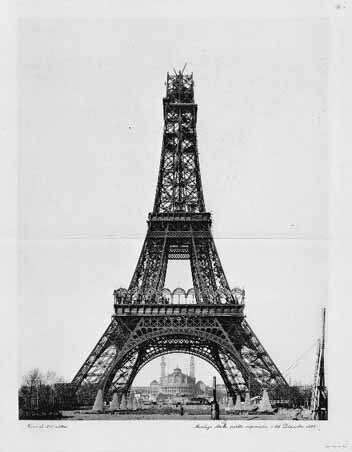 The tower was inaugurated on 31 March 1889, and opened on 6 May. 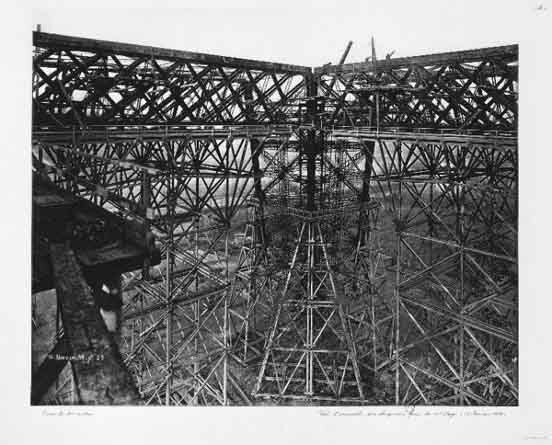 Three hundred workers joined together 18,038 pieces of puddled iron (a very pure form of structural iron), using two and a half million rivets, in a structural design by Maurice Koechlin. The risk of accident was great, for unlike modern skyscrapers the tower is an open frame without any intermediate floors except the two platforms. 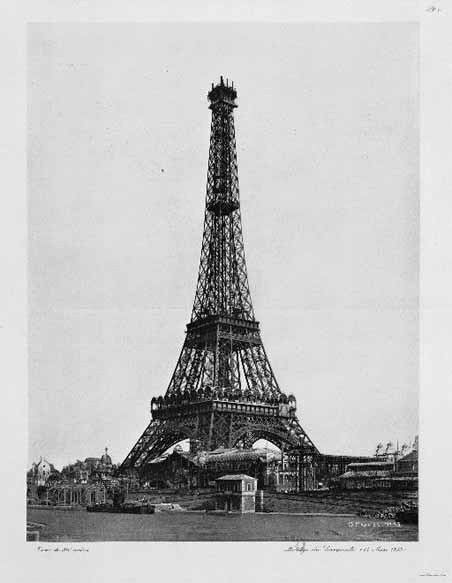 Yet because Eiffel took safety precautions including use of movable stagings, guard-rails and screens, only one man died. 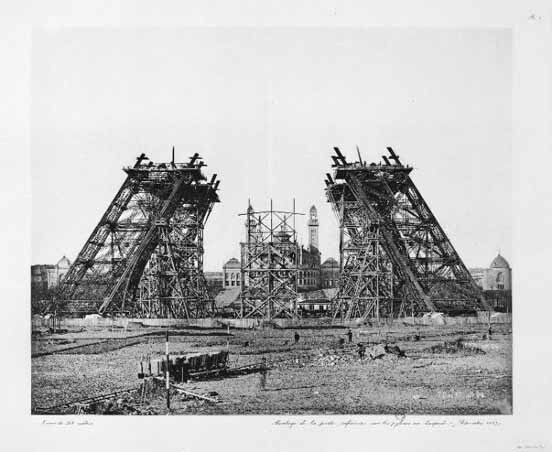 At the time the tower was built many people were shocked by its daring shape. 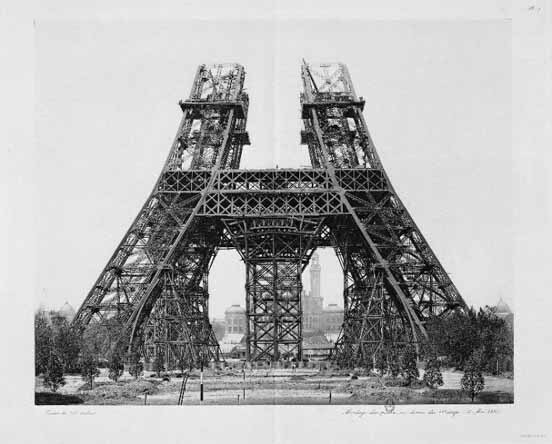 Gustave Eiffel was criticised for the design and accused of trying to create something artistic, or inartistic according to the viewer, without regard to engineering. 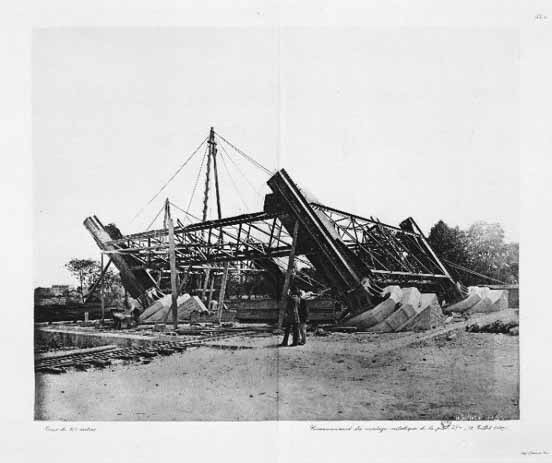 Eiffel and his engineers, as renowned bridge builders however, understood the importance of wind forces and knew that if they were going to build the tallest structure in the world they had to be certain it would withstand the wind. Since the beginning of the 20th century, the tower has been used for radio transmission. Until the 1950s, an occasionally modified set of antenna wires ran from the summit to anchors on the Avenue de Suffren and Champ de Mars. They were connected to long-wave transmitters in small bunkers; in 1909, a permanent underground radio centre was built near the south pillar and still exists today. 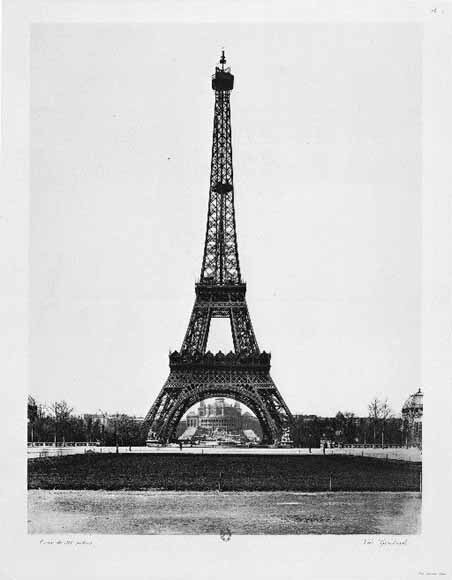 On 20 November 1913 the Paris Observatory, using the Eiffel Tower as an antenna, exchanged sustained wireless signals with the United States Naval Observatory which used an antenna in Arlington, Virginia.